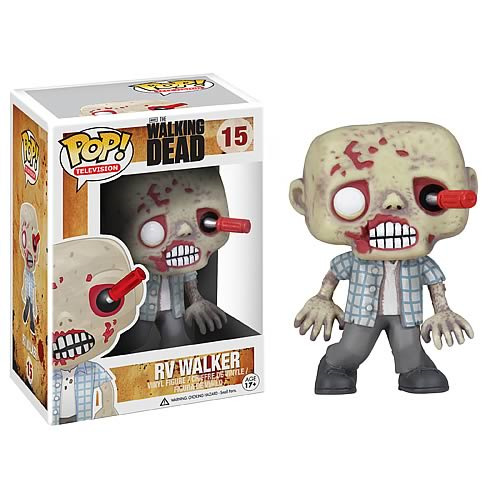 Straight out of The Walking Dead television show on AMC comes an excellent rendition of the RV Walker Zombie - a screwdriver shoved through his eye courtesy of Andrea and shambling for brains - in adorable Pop! Vinyl form! Brought to you by Funko, this The Walking Dead RV Walker Zombie Pop! Vinyl Figure turns that scary zombie into a cute little 3 3/4-inch vinyl figure. This is one item that fans of The Walking Dead won't want to miss out on!